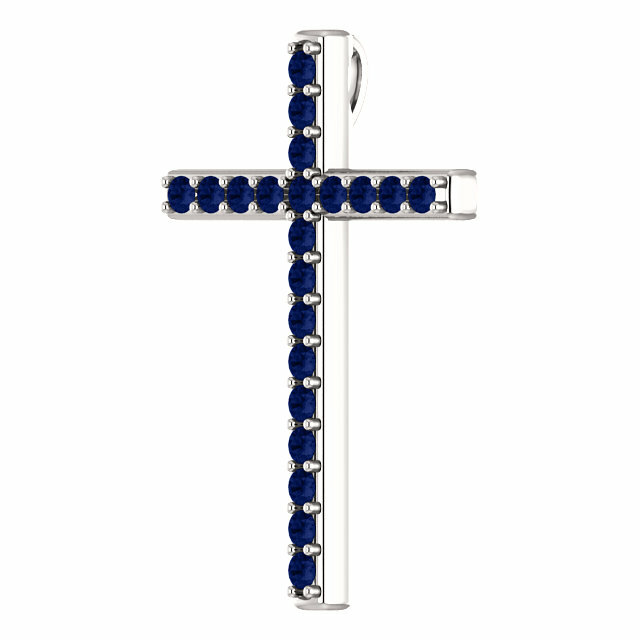 The genuine blue sapphire gemstones of this white gold cross pendant are symbolic of the sapphires which appear in the Bible, describing God's throne. "And above the firmament that was over their heads was the likeness of a throne, as the appearance of a sapphire stone: and upon the likeness of the throne was the likeness as the appearance of a man above upon it" (Ezekiel 1:26). 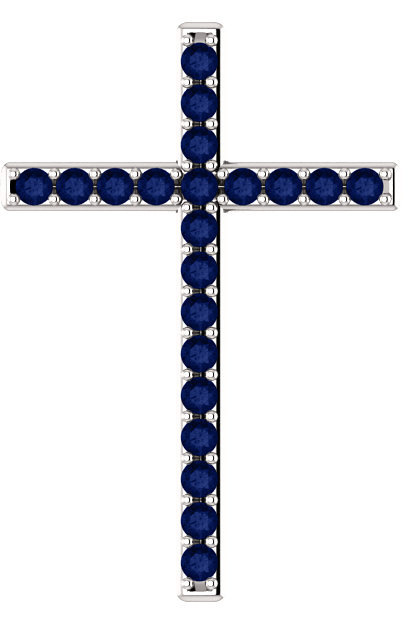 Wear this precious blue sapphire gemstone cross necklace as a symbolic reminder of the beauty, glory, and magnicifence of God and His Word. This is a cross that will be treasured forever and can be passed on through the generations, because of its high quality enduring value. The cross measures 1 1/4" tall x 0.85" wide and includes a hoop/bale that is hidden behind the pendant when worn, to showcase the beauty of the gems and white gold. Available in your choice of 10k, 14k, or 18k white gold or platinum (please allow an additional 7 days for platinum). You can also optionally add one of our cable-chain necklaces to complete the look or wear it with one of your own. We guarantee our Blue Sapphire Throne Cross Pendant in White Gold to be high quality, authentic jewelry, as described above.